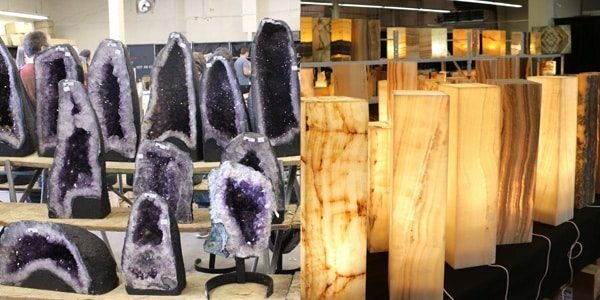 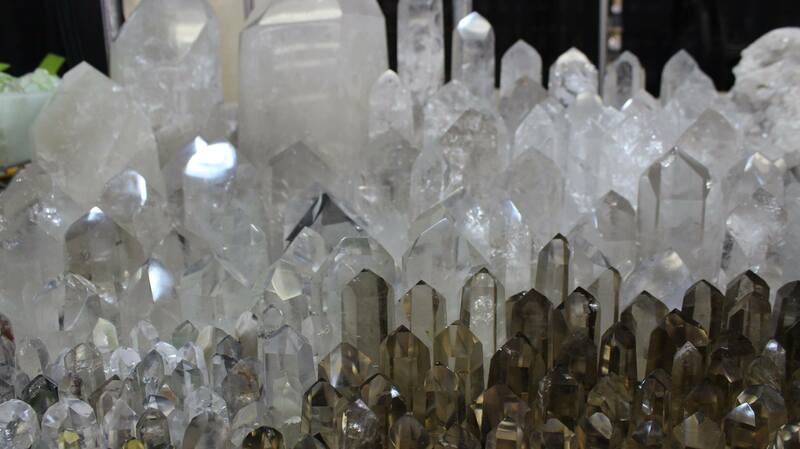 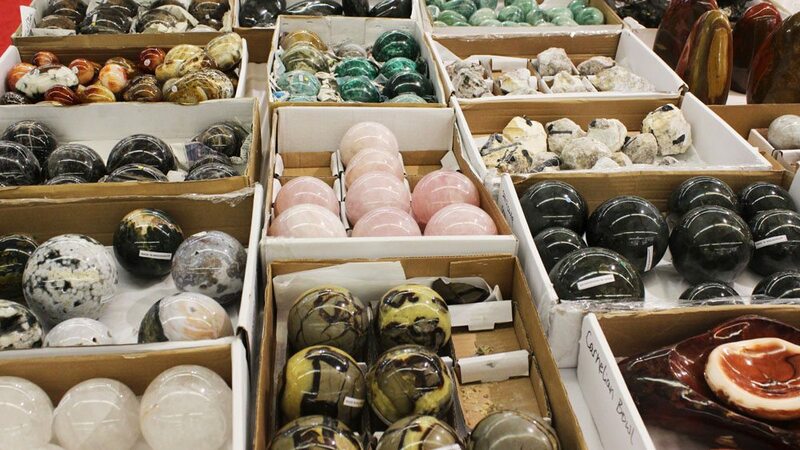 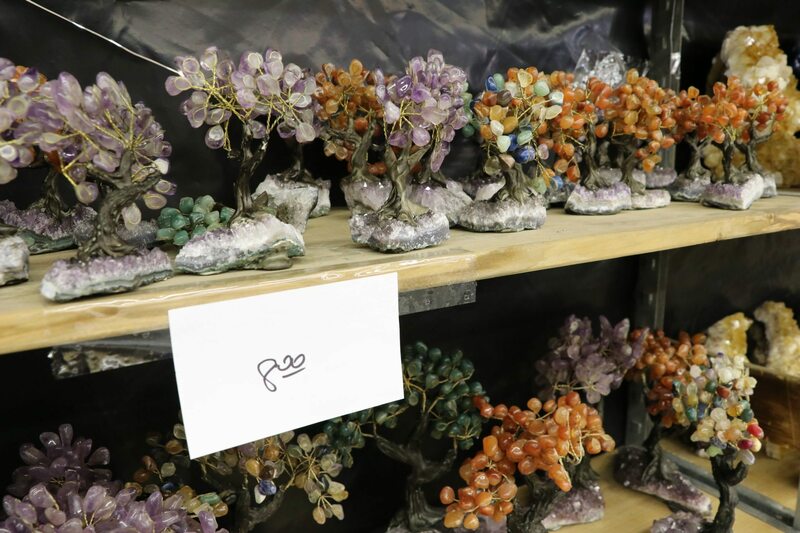 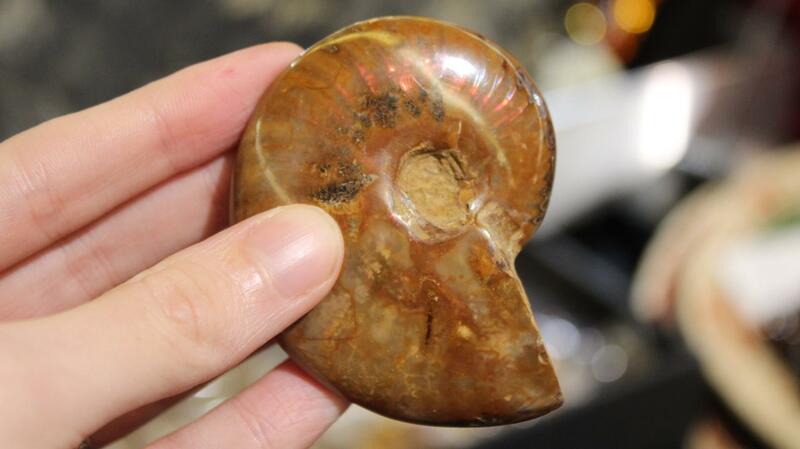 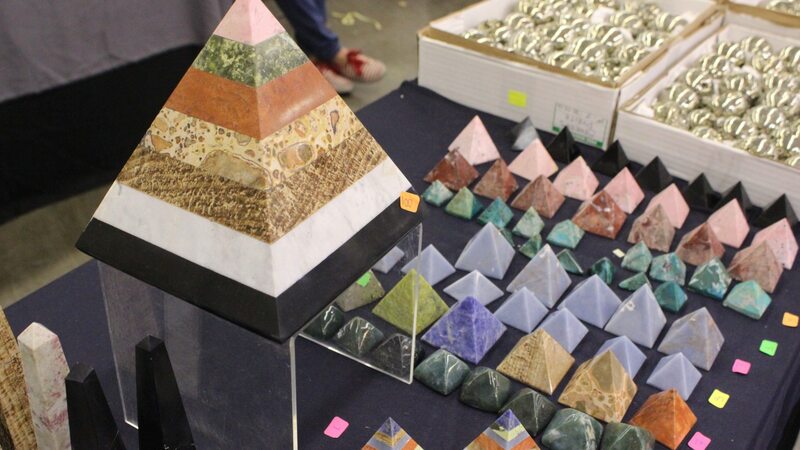 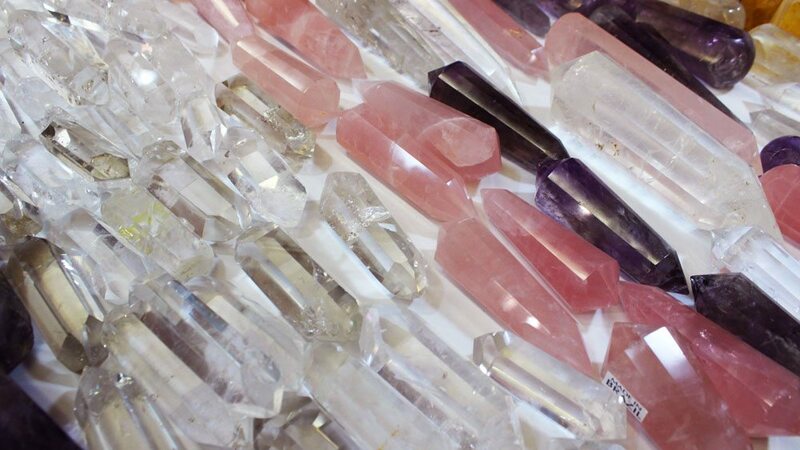 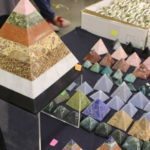 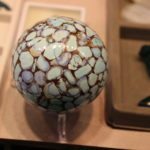 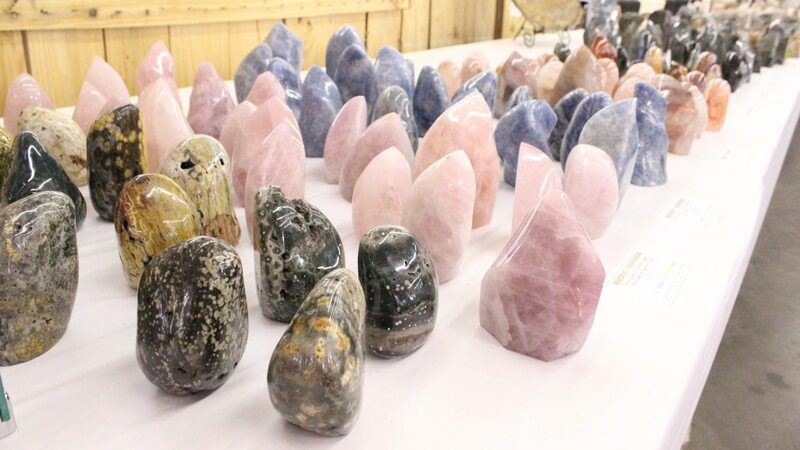 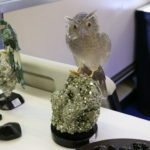 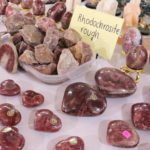 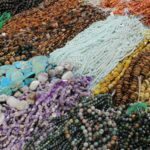 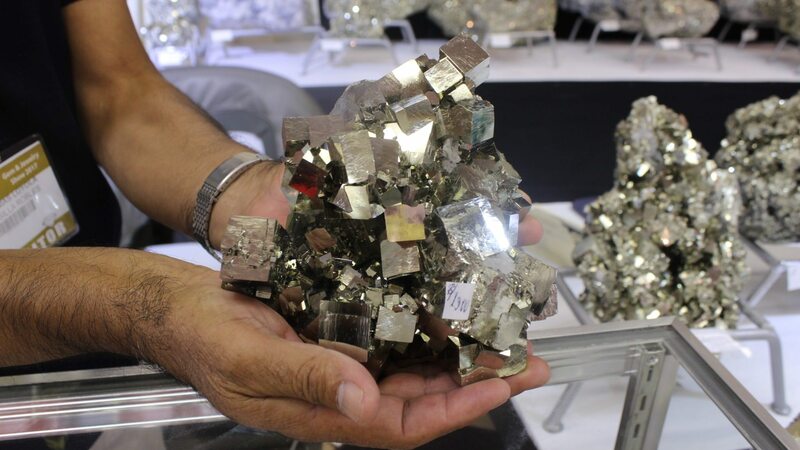 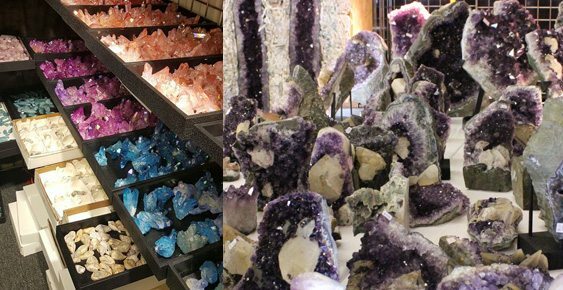 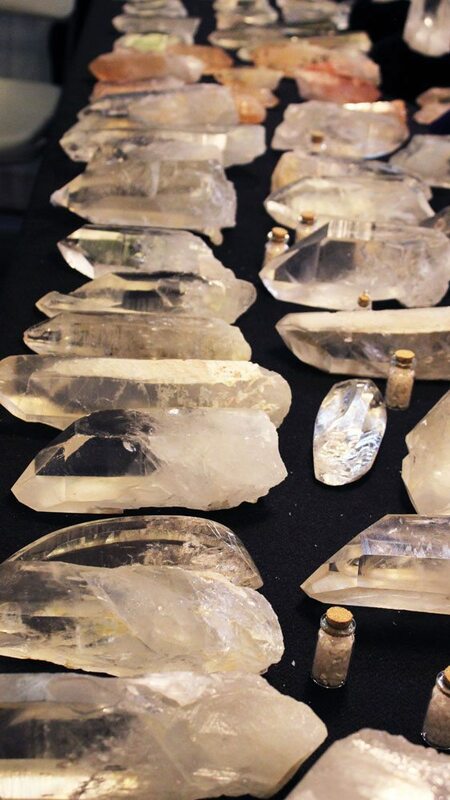 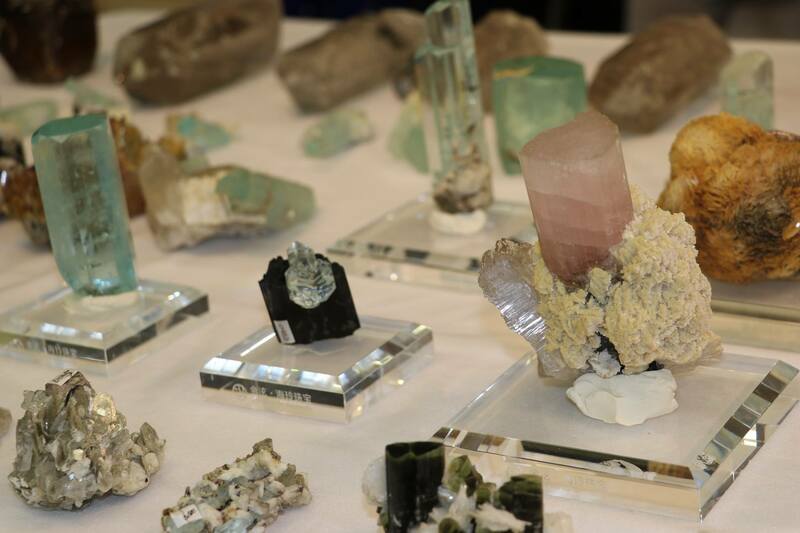 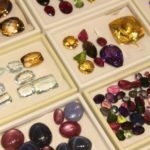 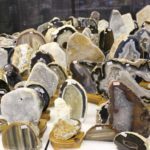 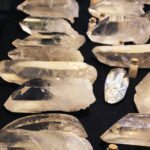 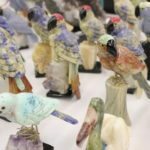 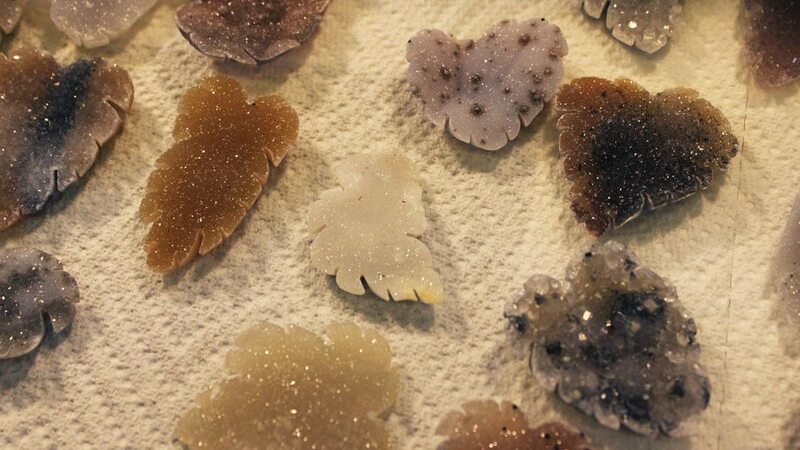 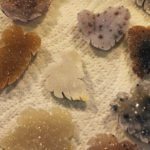 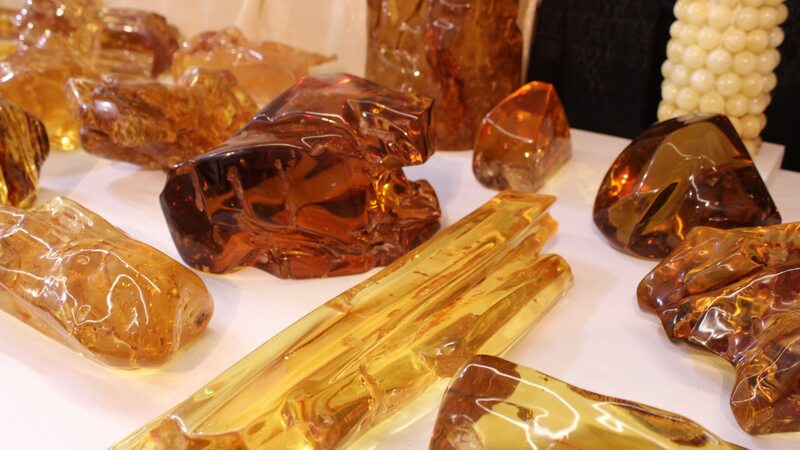 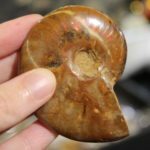 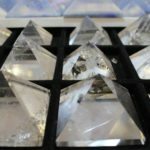 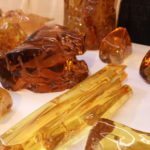 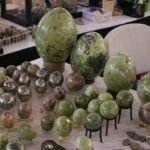 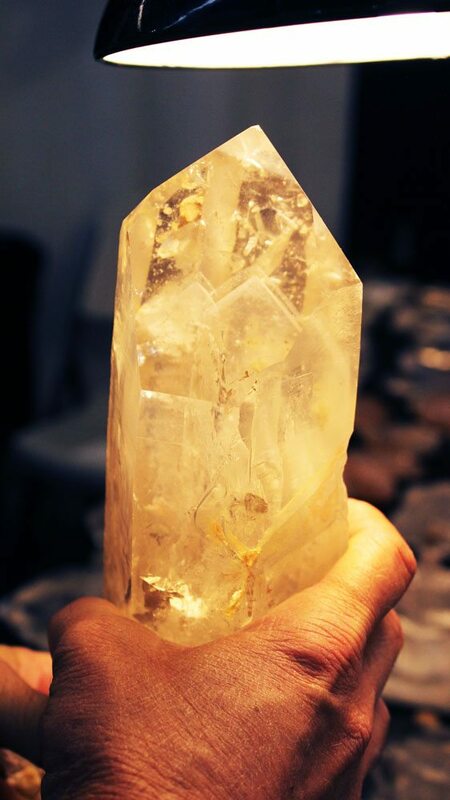 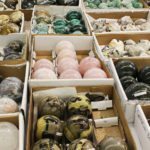 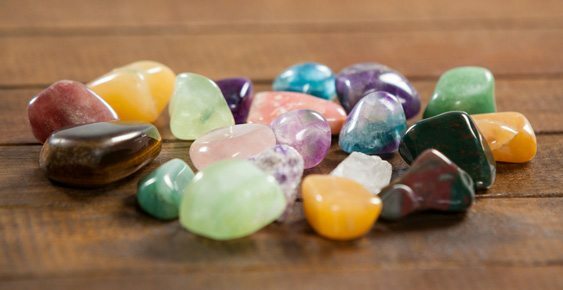 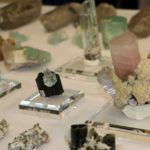 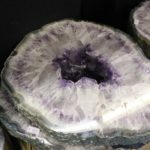 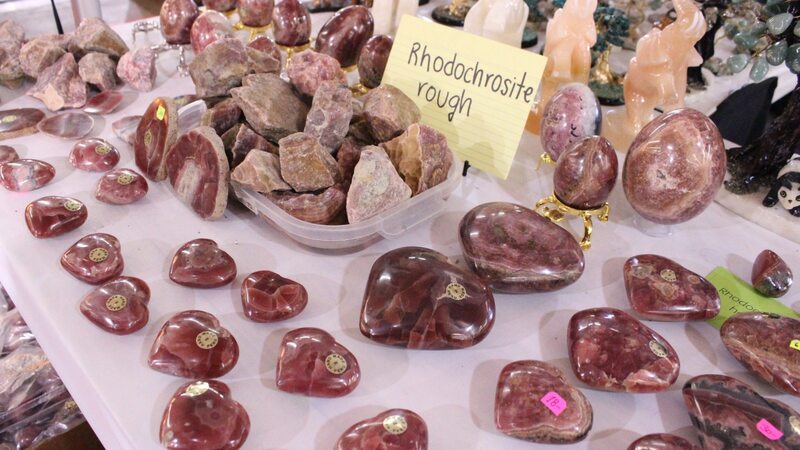 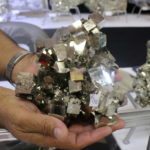 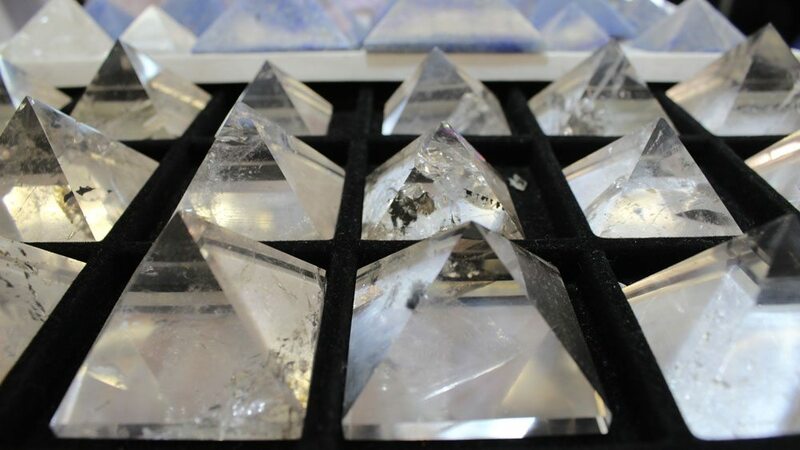 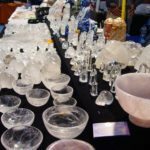 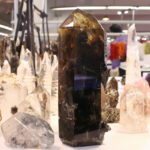 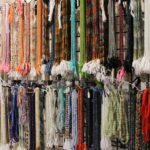 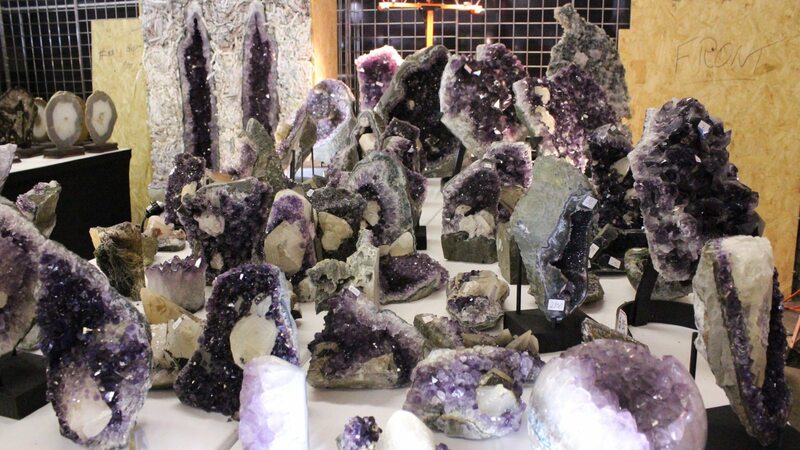 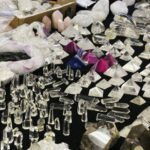 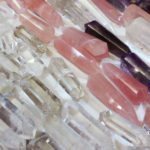 Whether you are seeking crystals for metaphysical healing or just looking for something to brighten up your room, the JOGS Tucson Gem & Jewelry Show carries a wide variety of crystals, minerals, gemstones and raw stones, straight from the earth. 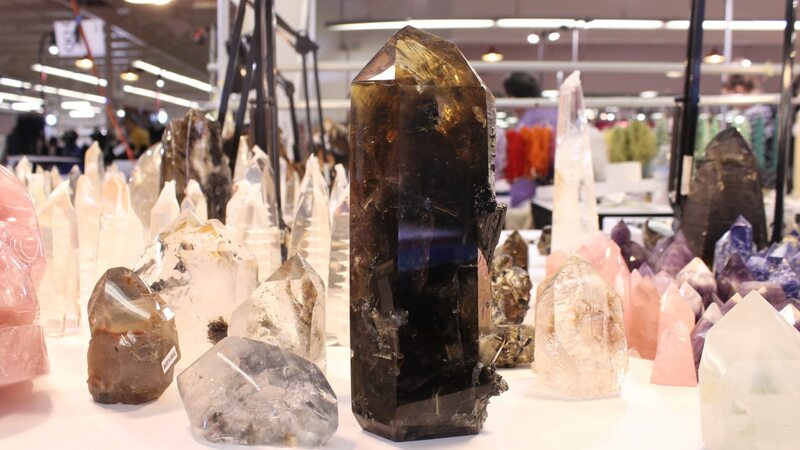 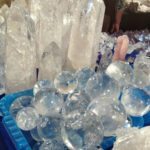 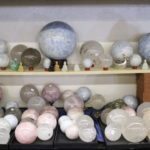 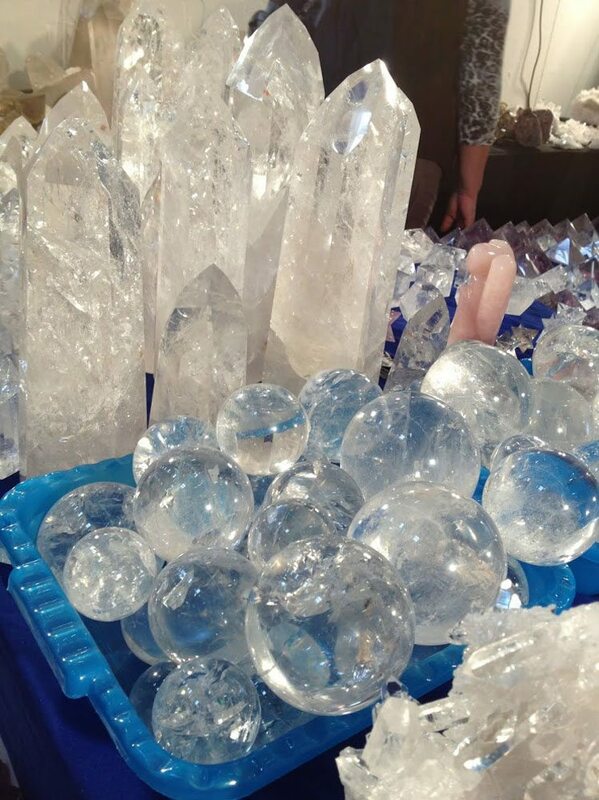 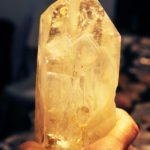 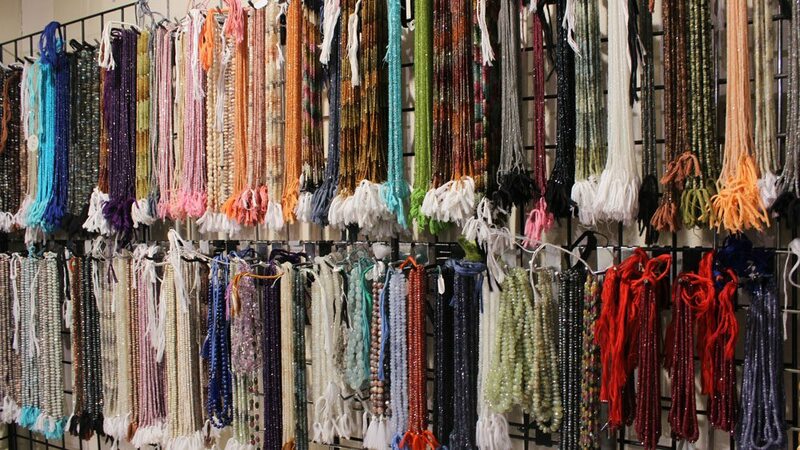 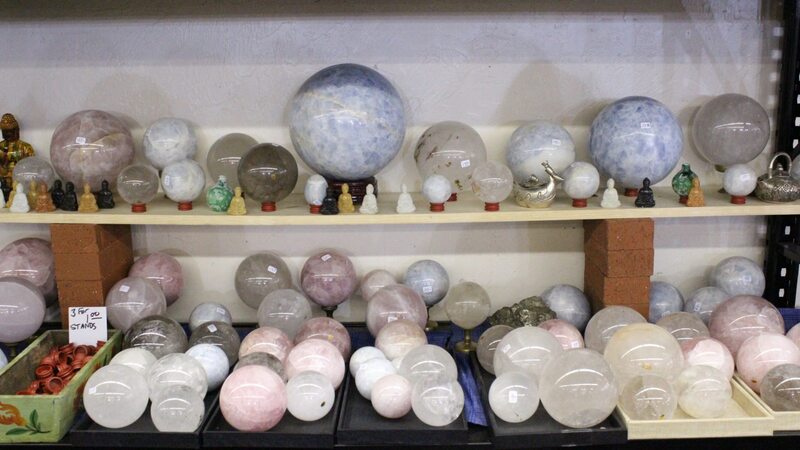 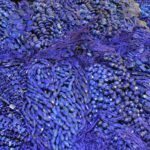 The JOGS Show is great for individuals who are looking for individual crystals big or small, or for store owners and crystal healers who are looking to buy crystals in larger quantities. 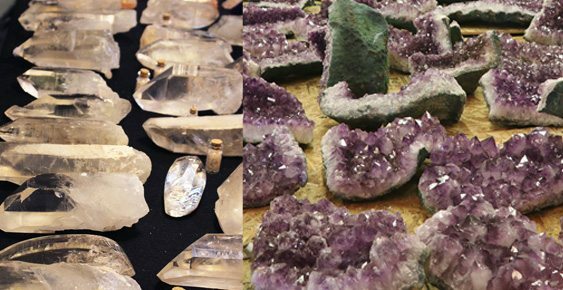 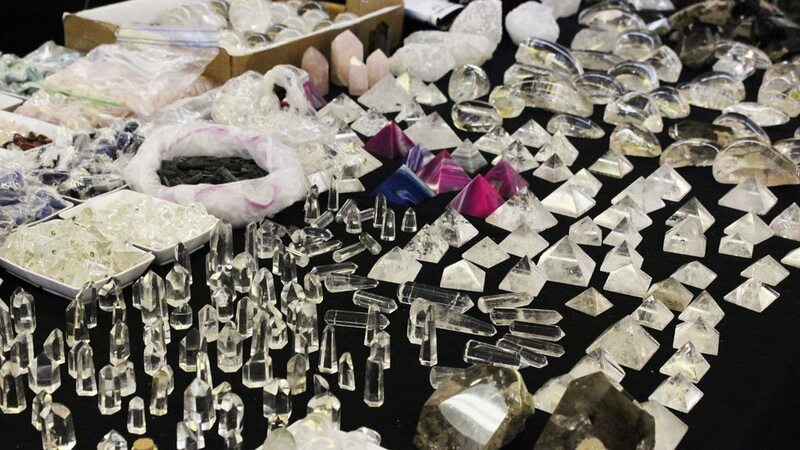 Crystal and gemstone dealers from around the world come to the JOGS Tucson Gem & Jewelry Show to sell clear quartz, amethyst, rose quartz, flourite, lapis lazuli, jade and obsidian, each stone perfectly cut and ready to be used or to be displayed as a collector’s piece. 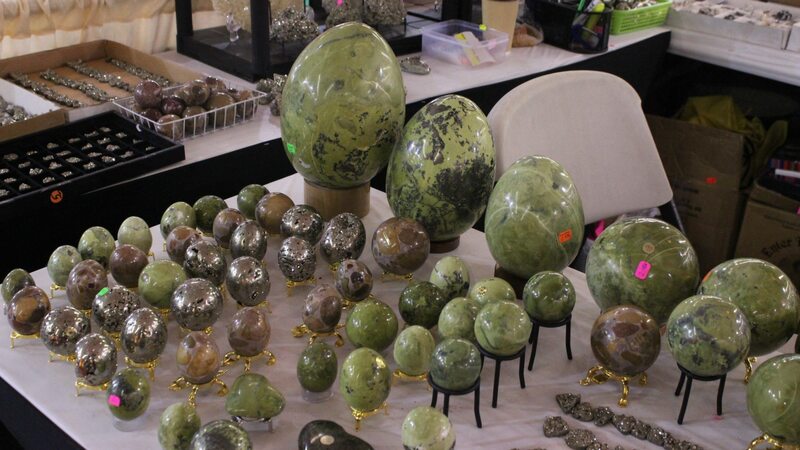 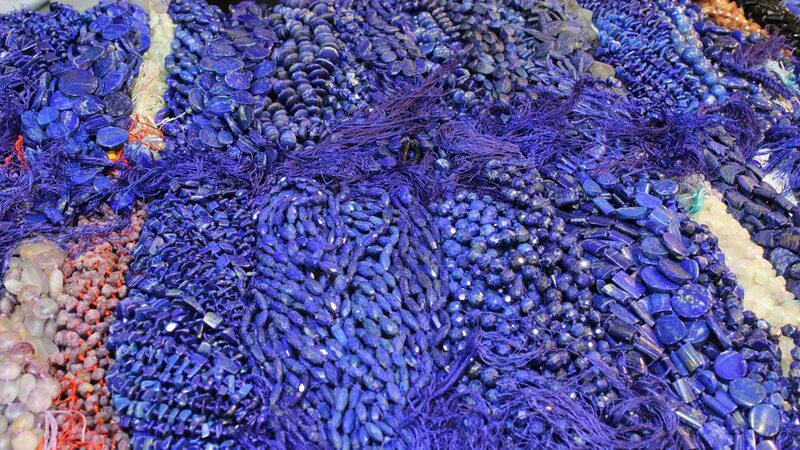 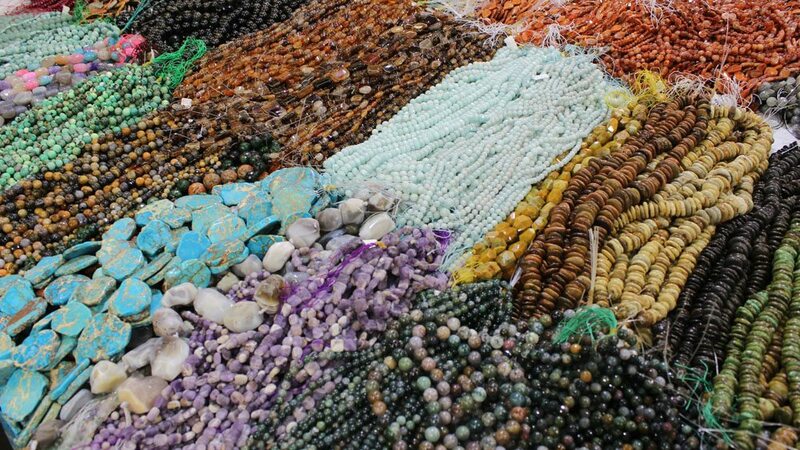 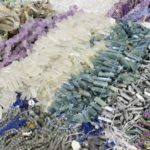 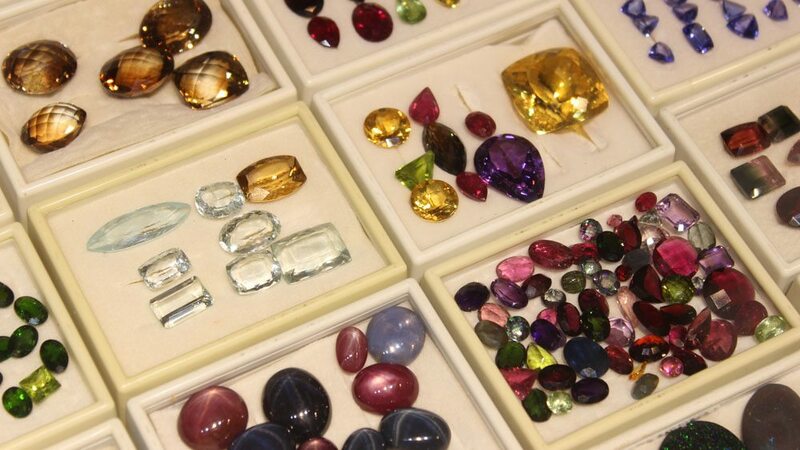 The JOGS Show has international dealers from 26 countries, all bringing their best gemstones to the Tucson Gem Show. 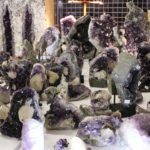 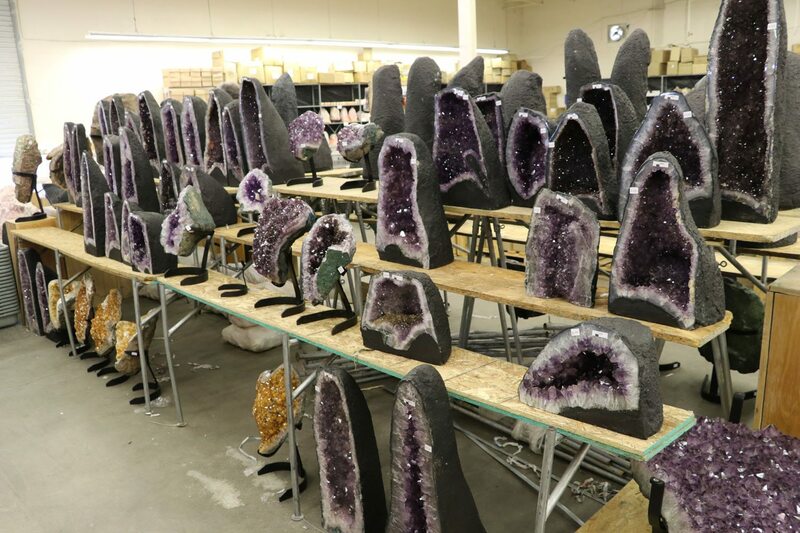 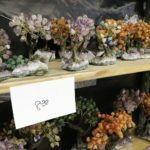 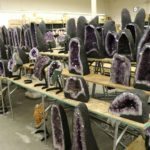 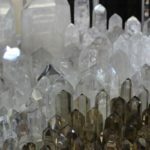 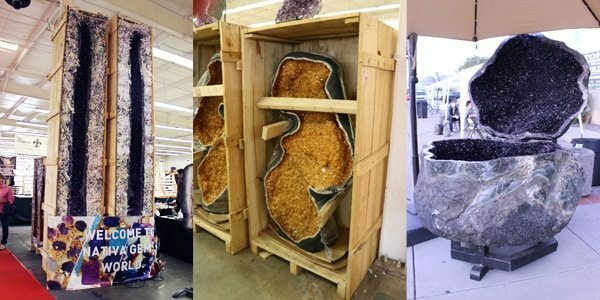 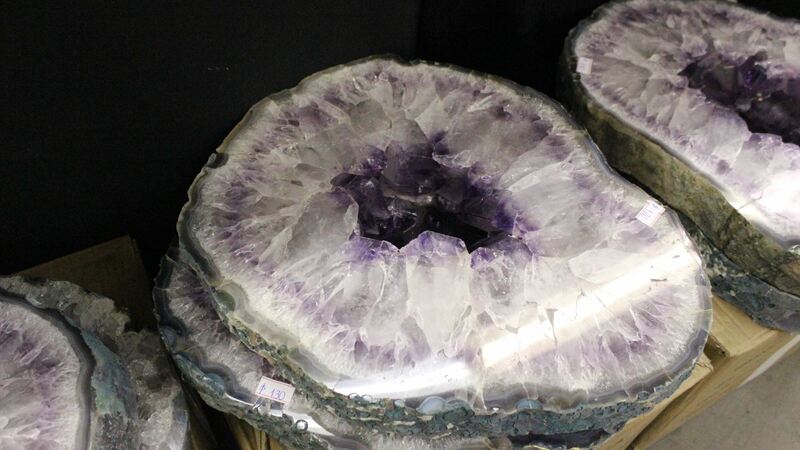 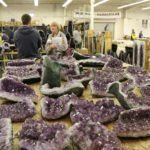 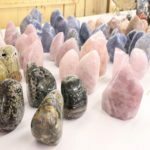 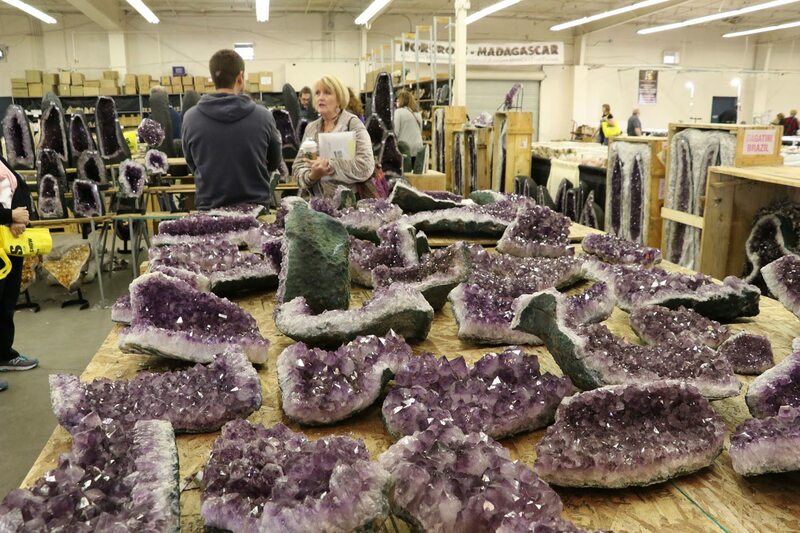 If you are looking for large crystals, geodes, or cathedrals, or other large crystal specimens, an entire section of the show is dedicated to Gem Decor. 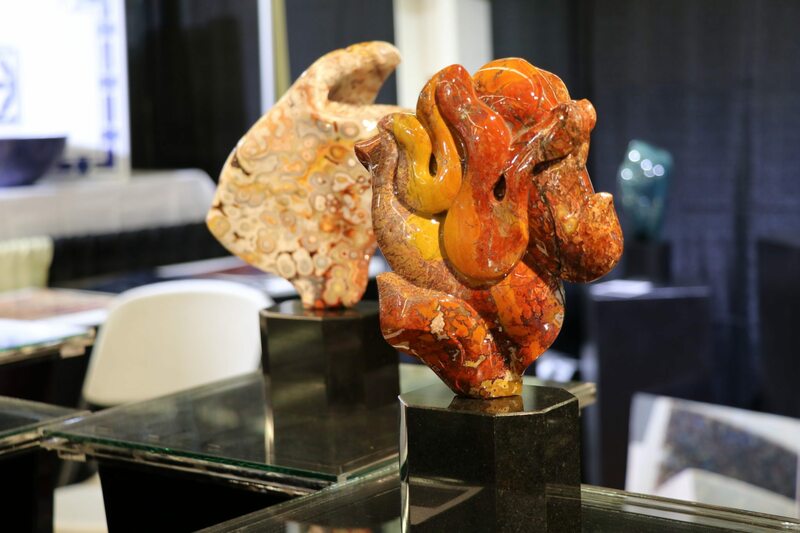 The Show also has new surprises every year… including pieces that are larger than life. 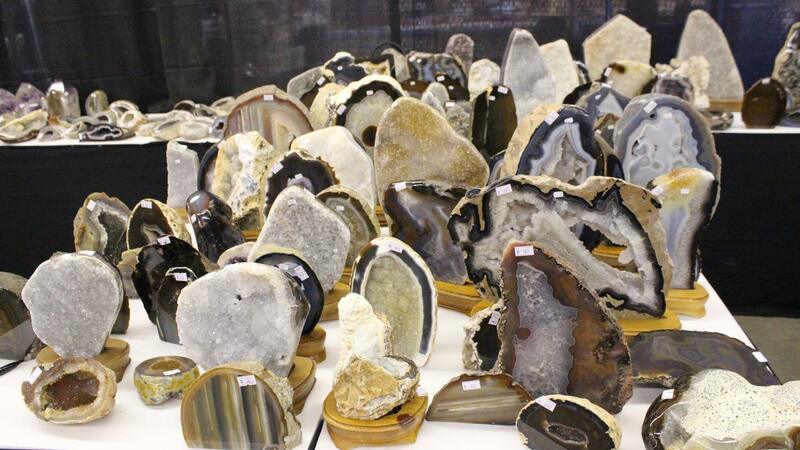 The Show is also a great place for those looking for healing stones. 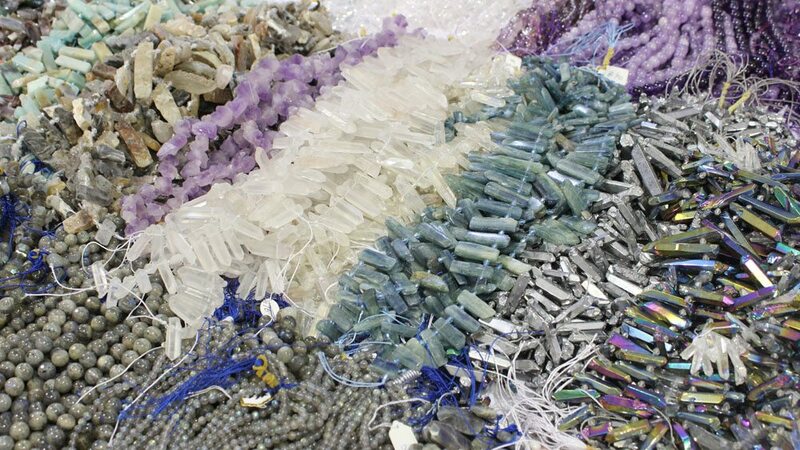 Enjoy the gemstone-passionate aura at the Show as you shop for just the right piece. 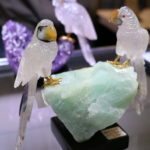 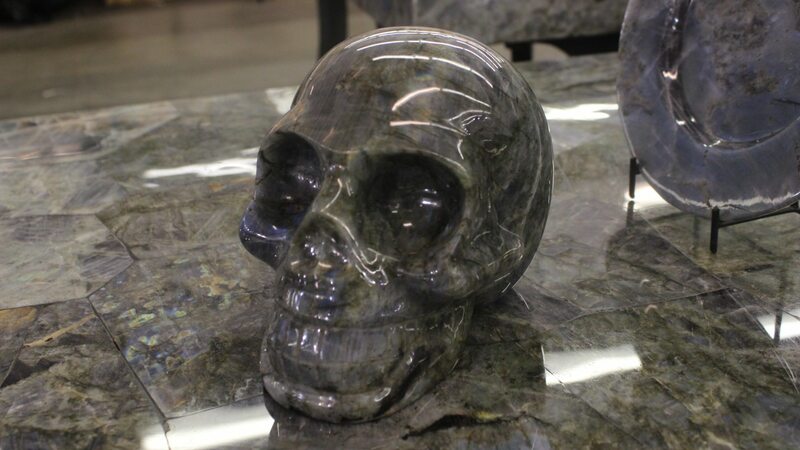 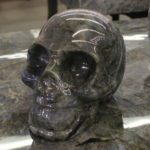 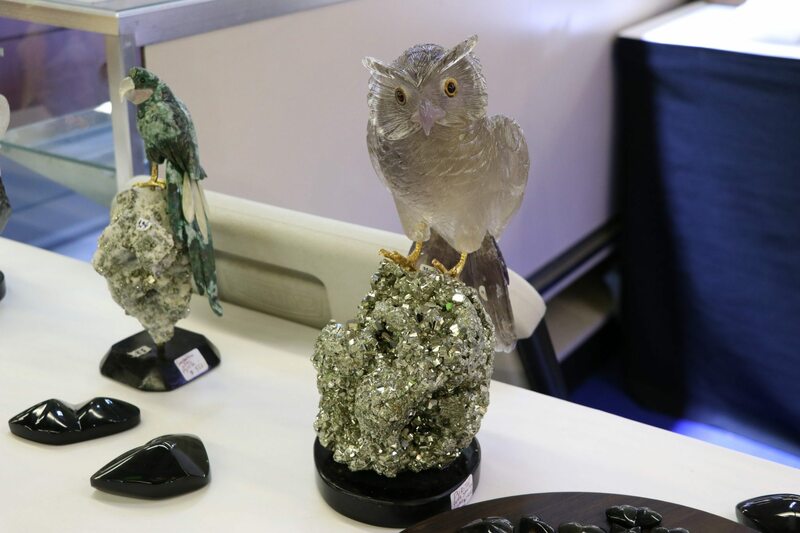 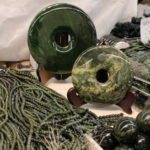 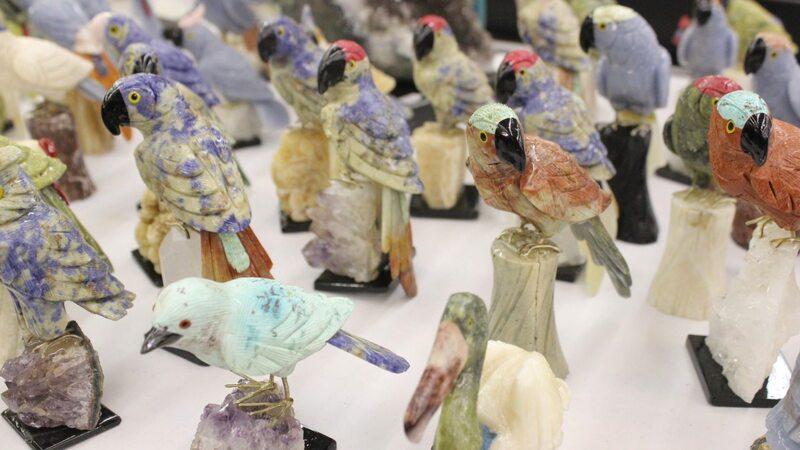 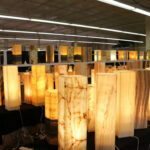 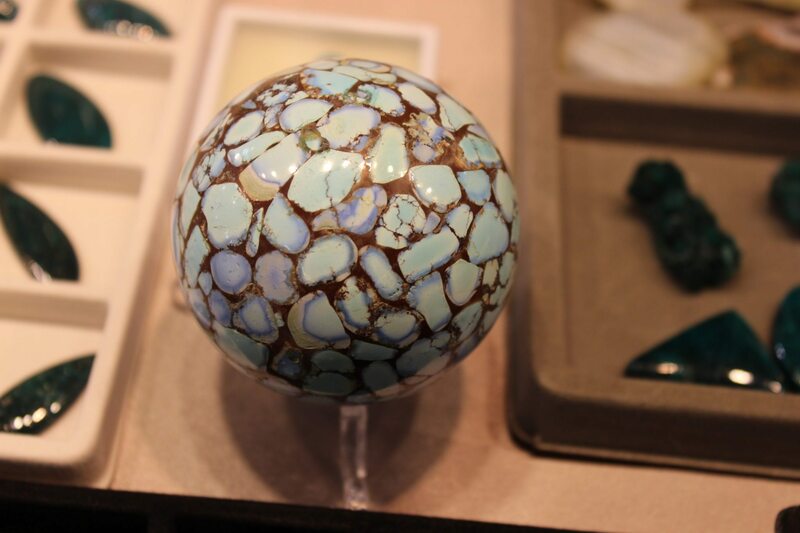 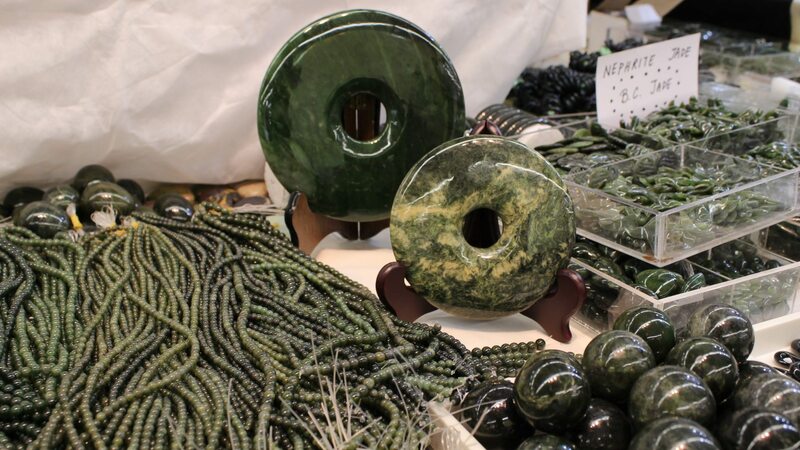 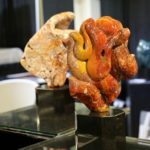 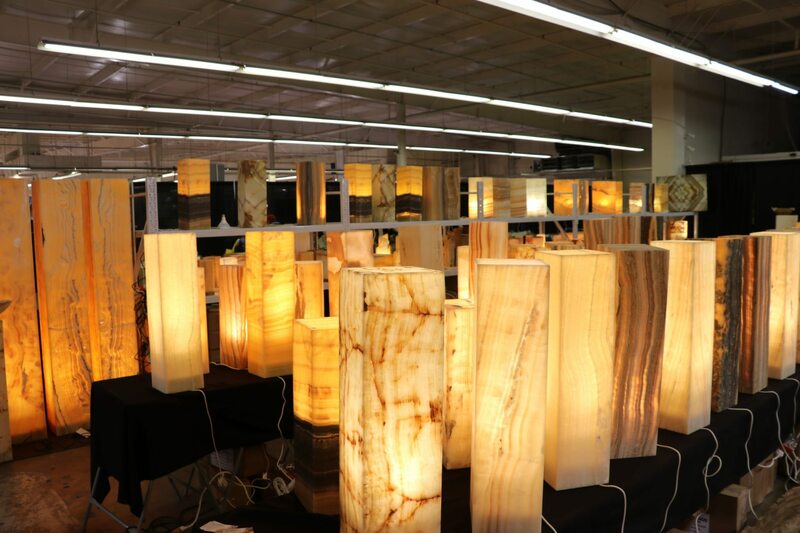 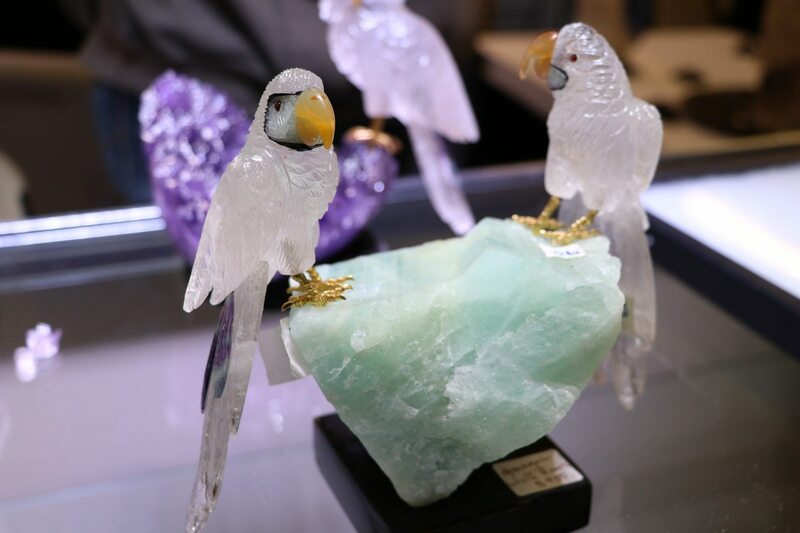 Our exhibitors are friendly and knowledgeable about their products, as a majority of our exhibitors are direct source – that means they own the mines or companies that create the beautiful gemstone carvings seen at the Show. 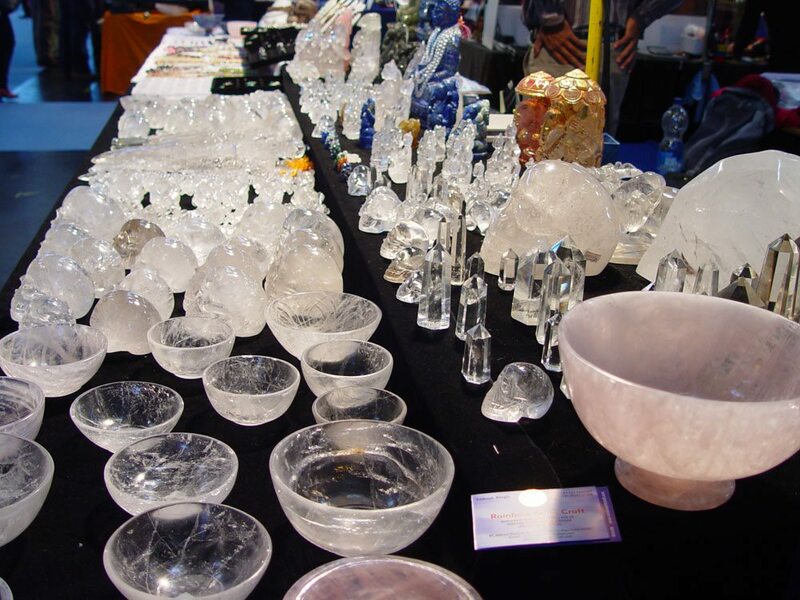 The Show is well known for carrying these shapes and types of crystals: Gemstone spheres, Raw crystal shapes, Points, Egg shaped gemstones, Tumbled Stones, Heart-shaped stones, Crystals wands, Octahedrons and other polyhedra, Gem cubes, Carved gemstones skulls, Phantom crystals, Lemurian crystals, Worry stones, Engraved Reiki & Chakra stones, Pendulums, Merkabah, Healing stone sets, and Raw gemstones jewelry & beads.